The increased greenhouse gas emissions and the global warming from fossil fuels to produce electrical power generation and transportation, they become the most critical concern of governments to find an alternative source to fossil fuels such as renewable energies like wind and solar;Additionally, transportation is one of the main sources of environmental pollution, to this end, PHEV grid is presented, but the widespread use of PHEV will be creating a significant load on the grid. For this reasons in this paper, a model for the optimal application of green house, was studied in 24 hours. Energy management issue is considered in zero energy buildings with solar hybrid power sources, fuel cell, electrolyzer, hydrogen tank, compressor, reformer, anaerobic reactors and converters as well as plug-in hybrid electric vehicle (PHEV) must be provided, designed and implemented. The green house serves bilateral energy exchange with the upstream distribution network and if the surplus energy provided, can be sold to the network. Daily house trashes use to decline the bioenvironmental contaminations and also heat of house and hot water is supplied using fuel cell heat and if necessary we should purchase gas from network. In order to optimize this house, an objective function is extracted and aggregation Swarm algorithm to minimizing costs was carried out using MATLAB program. Finally, optimal operation is presented for the green house and results have been analyzed. Goli, P., Shireen, W., PV powered smart charging station for PHEVs, Elsevier Ltd. All rights reserved, Renewable Energy, 2014, 66, pp. 280-287. Oviedo, R, M., Fan, Z., et al., A residential PHEV load coordination mechanism with renewable sources in smart grids, Elsevier Ltd. All rights reserved, Electrical Power and Energy Systems, 2014, 55, pp. 511–521. Gil, F,A,S., Shafie-khah, M., et al., Impacts of different renewable energy resources on optimal behavior of plug-in electric vehicle parking lots in energy and ancillary services markets, IEEE Power Tech Conference, Eindhoven, Netherlands, 2015. Shafie-khah, M., Siano, P., A Stochastic Home Energy Management System Considering Satisfaction Cost and Response Fatigue, IEEE Transactions on Industrial Informatics, 2018, 14, pp. 629-638. Cao, S., Hasan, A., et al., Matching analysis for on-site hybrid renewable energy systems of office buildings with extended indices, Applied Energy, 113 (2014), pp. 230–247. Rahim, H., Khalid, A., et al., efficient smart buildings using coordination among appliances generating large data, IEEE access, 2018, 6, pp. 34670 – 34690. Arun, S,L., Selvan, M, P., Intelligent Residential Energy Management System for Dynamic Demand Response in Smart Buildings, IEEE systems journal, 2018, 12, pp. 1329-1340. Zhou, L., Zhang, Y., et al, Optimal sizing of PV and BESS for a smart household considering different price mechanisms, IEEE access, 2018, 6, pp. 41050 – 41059. Arabul, F, K., Arabul, A, Y., et al, Providing energy management of a fuel cell, battery, wind turbine, solar panel hybrid off grid smart home system, International journal of hydrogen energy, 2017, 42, pp. 26906-26913. Saadatmandi, M., Hakimi, S, M., et al, Management of Plug-in Hybrid Electrical Vehicle to Increase Renewable Energy Penetration in Smart Grid, International Conference on Smart Energy Systems and Technologies (SEST), Seville, Spain, 2018. Jatzeck, B, M., Robinson, A, M., et al, Estimation of the Optimum Rated Wind Velocity for Wind Turbine Generators in the Vicinity of Edmonton, Alberta, Proceedings of the 1999 IEEE Canadian Conference on Electrical and Computer Engineering, Canada, 1999. N.Y.ISO, Alternate route: Electrifying the transportation sector, New York ISO, Tech, Rep, 2009. Karnama, A., Analysis of integration of plug-in hybrid electric vehicles in the distribution grid, Master’s thesis, Royal Institute of Technology, Stockholm, Sweden, 2009. Colella, W, G., James, B, D., et al, Techno-economic Analysis of PEM Electrolysis for Hydrogen Production, Electrolytic hydrogen production workshop NREL, golden, Colorado, 2014, pp. 10-36. Li, Y., Fan, X., et al, Optimal Active Power Dispatching of Microgrid and Distribution Network Based on Model Predictive Control, TUP Journals & Magazines, 2018, 23, pp. 266-276. Ariyawiriyanan, W., Meekaew, T., et al, Thermal Efficiency of Solar Collector Made from Thermoplastics, 10th Eco-Energy and Materials Science and Engineering, 2013, 34, pp. 500-505. 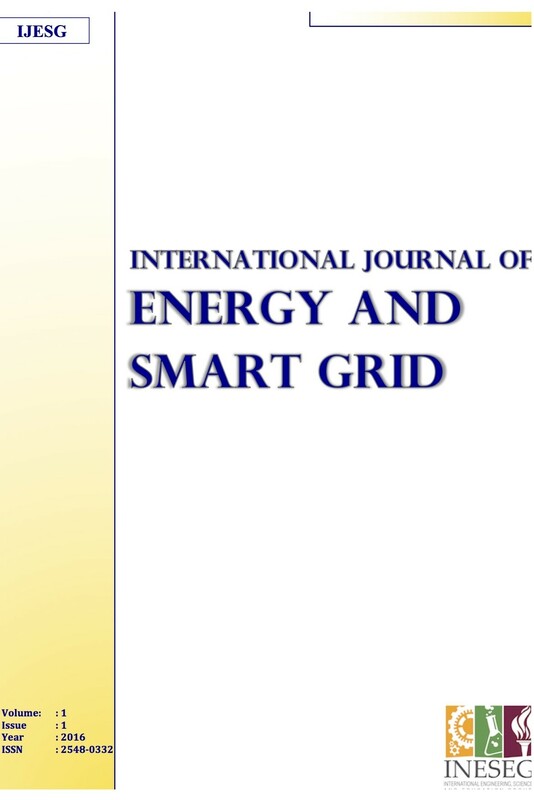 Hakimi, S, M., Moghaddas-Tafreshi, S, M., Optimization of smart microgrid considering domestic flexible loads, Journal of renewable and sustainable energy, 2012, 4. Pang, C., Dutta, P., et al, BEVs/PHEVs as Dispersed Energy Storage for V2B Uses in the Smart Grid, IEEE transactions on smart grid, 2012, 3, pp. 473-482. Visa, I., Moldovan, M, D., et al, Improving the Renewable Energy Mix in a Building Towards the Nearly Zero Energy Status, Energy and Buildings, 2013, 68, pp. 7-78.